Back when we started VickeryHill, we used a picture of a cloud to signify the internet. It connected all the pieces of software, hardware, and visitors in those diagrams. It was grey and signified a transport system between 2 objects. 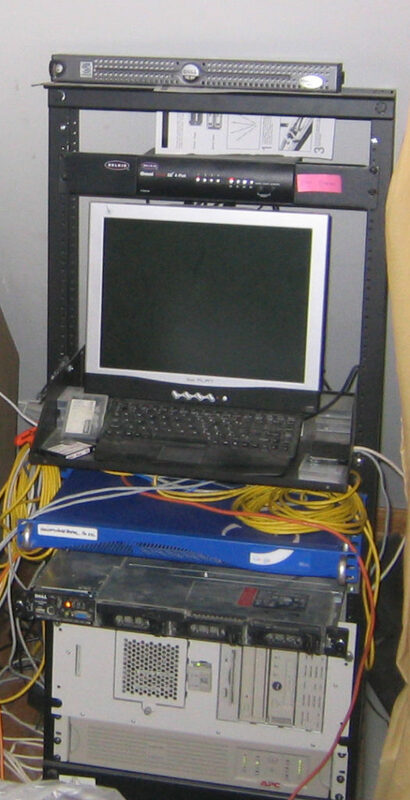 We upgraded from a half-height rack to a full 7′ server rack in the basement of the barn in 2005. The rack held a 3000VA UPS, 4 File/Database/Email Servers, a Telephone system, a firewall, a router, 2 switches, a Google Enterprise search box, and a support PC. The office had 5 workstations with 2 19″ CRT displays each. The electric bill was $200-225 a month, without air conditioning. We had copies of all files, databases, and websites locally, and backed it all up to DLT. We installed an inline generator that automatically fired up after 8 seconds of power outage. Our internet connection was upgraded from bonded ISDN (128kbps synchronous) to the fastest DSL we could get (3Mbps/0.5Mbps). We ran Windows XP. There was no iPhone. Oh, and we used to walk to work uphill both ways in the snow…in flip flops. From 2006 to 2010, we plodded along with most non-website data in-house backed up and stored off site. So, when we lost power (and internet) every few months, the generator kept us working locally. Internet providers came and went. 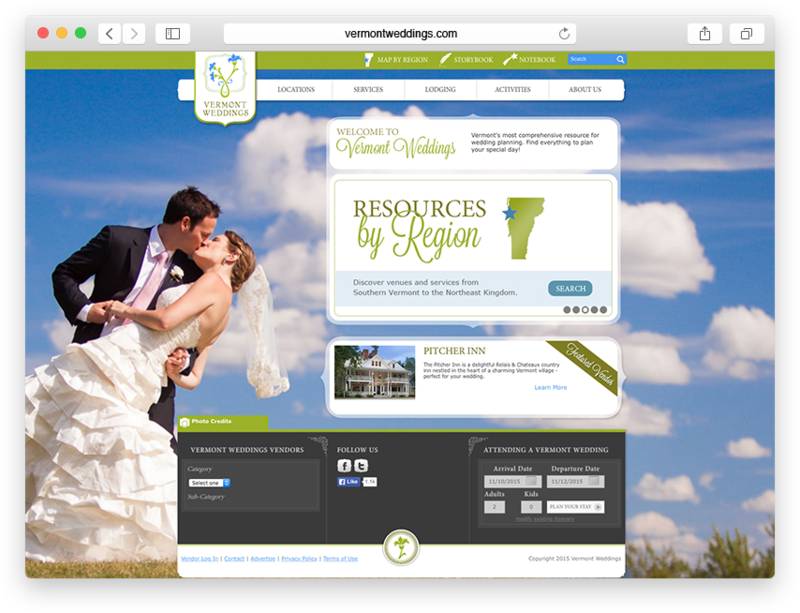 We found Rackspace and migrated every client website we could to their servers in Texas. We mailed invoices to 25-30 clients each month. Snail mailed! We reinvested in 2 new servers. Therefore the power bill went up 10%. The internet was still 3Mbps. We bought figurative boots, goggles, and gloves – and were fairly warm on those uphill walks to and from work. Our local independent TelCo, WCVT, received a USDA Broadband Initiatives grant and they started stringing fiber in and over the Green Mountains. Our remote barn location meant we had slow internet. That meant we got the fiber first. 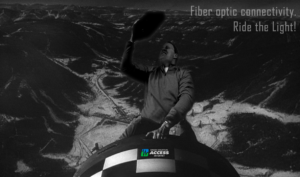 The only question was “how much bandwidth do you want?” We took it all – Gigabit synchronous fiber. That’s 1,000 Mbps upload AND download! All of a sudden we were connected to the web faster than 99% of the planet. Consequently, we moved our entire file system (11 years worth) to Dropbox for Business. We dumped the US Postal service for Freshbooks and email invoices. We decommissioned our Exchange Server and moved to Hosted email from Rackspace. We took down the Microsoft Active Directory. One desktop at a time, we migrated to Apple laptops. We added Sonos to the barn. The iPhone 4 shipped. The huge UPS in the basement sat lonely, powering a few ethernet switches and their meager power needs. The power bill dropped down below $100/month. Now we were cooking with gas: catching a bus to work both ways – fast – while listening to podcasts and reading the news. Fast-forward to the 17th year of VickeryHill. Miraculously the 30% tax incentive for solar power still stands. Tesla bought SolarCity. 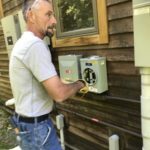 Our power company, Green Mountain Power, partnered with Tesla, brought the Powerwall to Vermont and some serious engineering and installation people. GMP is pushing the envelope here, even going so far as to encourage customers to go off-grid. Solar panel costs have come down while efficiency improved. Electricity prices continue to climb steadily. Technology allows SolarCity (and others) to very accurately predict of solar power generation using software, Google Maps, and a Sun Bot device that takes fisheye photos from the desired surface, detailing the horizon and things that will block the sun. 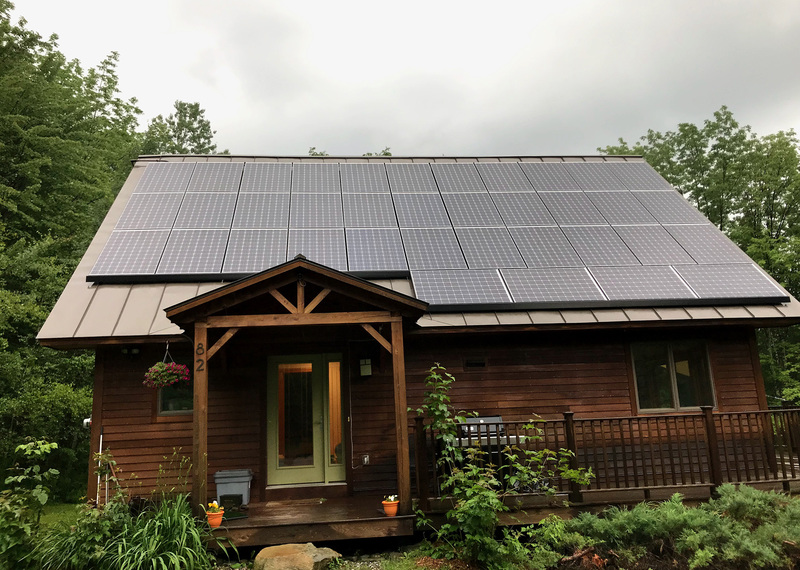 So, last week, Solar City installed 37 x 325W photovoltaic solar panels on the best surface we had going – the standing seam roof of Steve & Carrie’s house (because the barn is much less square footage). That’s just over 12kW of generation power that should translate to just enough to power the barn and the house. 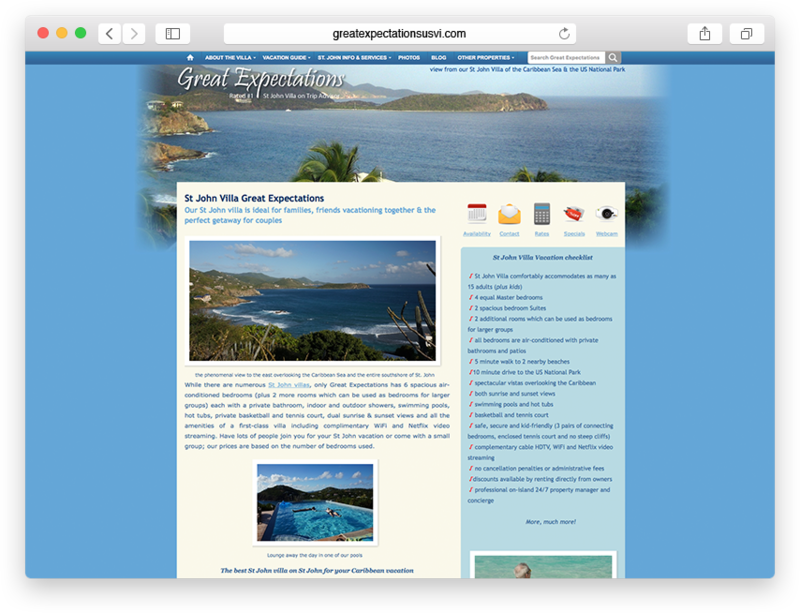 We periodically work from a beach in the Virgin Islands or remote from Florida or a shared workspace. The Vermont skies at night are still quiet and full of stars…and the closest one, a yellow dwarf, now powers everything we do at VickeryHill. Literally. Most of all, it just seemed like the right thing to do: environmentally, financially, politically. Final Exaggeration: Seems like we are just about able to fold our flying car up into a suitcase. 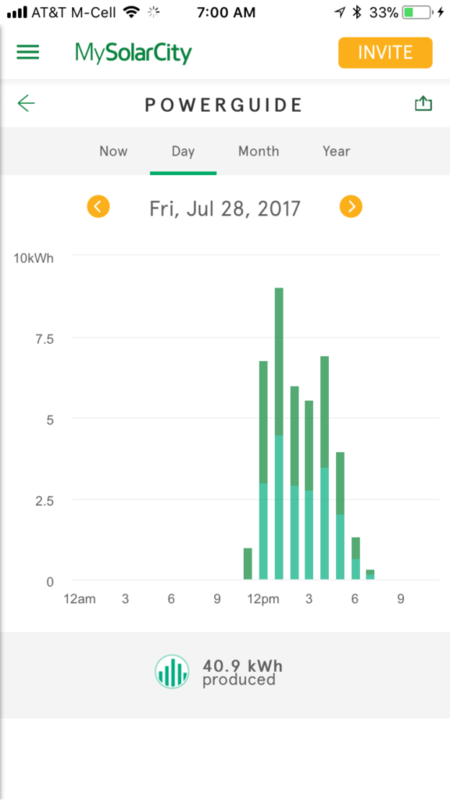 NetMeter installed by GMP on July 28, 2017! Finally, after some paperwork issues and a 3 week delay, a Green Mountain Power tech showed up with the Net Meter which will allow us to start sending energy back to the grid. The entire check and install took about 4 minutes and once he left, we flipped the breaker, through the switch and powered up the Inverters. The sun came out, and the inverters started showing power generation in the hundreds of kiloWatts. Yep, we powered an office with 5 people building and supporting websites and a 3 bedrooms house all day – and the power company owes us 6 bucks. Not bad, not bad at all. Tomorrow’s forecast calls for more clear skies and sun.